A special Friday edition of the podcast, and the audio portion of Matt Trueblood‘s farewell tour. Our senior writer will be departing the pen to join the starting rotation at Baseball Prospectus. 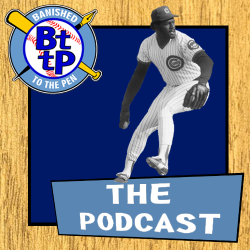 On this episode, he joins Mikey Poley and Ryan Sullivan as they also talk about Cleveland, Cuba, surveying analytics use around MLB, and what to look for in the 2015 season. Congratulations to Matt from all of us at Banished to the Pen. Please visit Baseball Prospectus to read Matt’s first article, on pitching injuries.